A nursing home should be a community where your loved one gets to live out his or her golden years in peace, comfort and, above all else, safety. Your loved one has worked for the better part of his or her life, and has earned the chance to rest in a community where caring, conscientious individuals watch out for them. 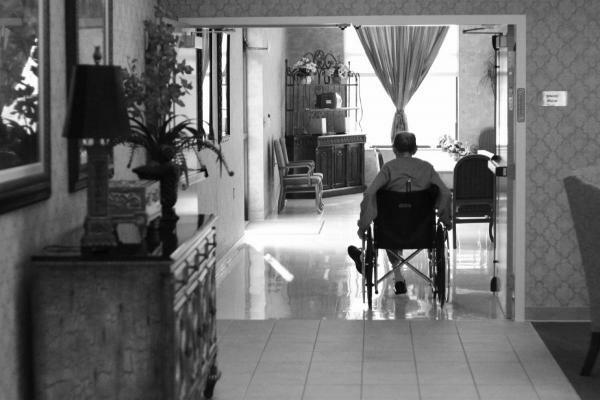 Sadly, in too many Chattanooga-area nursing homes, abuse and neglect is common. Staff members and administrators do not properly care for their residents, and the results can include devastating personal injuries – in particularly tragic cases, these injuries can even prove fatal. Fortunately, nursing home residents have rights. If thisabuse has happened to one of your loved ones, you have options. Our experienced nursing home abuse attorney can help you pursue justice and compensation for your loved ones. We are passionate about holding neglectful nursing homes accountable for their errors. If you need an experienced nursing home neglect attorney in or around Chattanooga, Tennessee, please call Herbert Thornbury, Attorney at Law today at 423-443-3973 for a complimentary case evaluation. In our experience, most nursing home staff try hard. Most of them care about their residents. But nursing home abuse and neglect has a number of causes. Even if 99 percent of a nursing home's staff members are great, that one abusive or neglectful staff member can still pose a serious danger to the health and well-being of anyone under their care. More often, the problems lie not with the staff, but in the administrative offices. Many nursing homes are part of massive national chains, and they are run with a relentless focus on profits. This means administrators are tempted to cut corners in all areas, including in their hiring practices. A good attitude is irrelevant if a staff member lacks the experience and training to properly care for elderly residents. There are important steps you can take to recognize and identify the signs of abuse. By visiting regularly and getting to know the people at your loved one's nursing home, you can put yourself in a position to catch neglect and abuse early. After spotting abuse, one of the first things you should do is arrange a free consultation with our nursing home neglect attorney. Mr. Thornbury will listen to your story, answer your questions and help you choose the right course of action. If your loved one has suffered abuse or neglect in a Chattanooga-area nursing home, our attorney wants to talk to you about your case. Please call Herbert Thornbury, Attorney at Law today at 423-443-3973 for a cost and obligation-free consultation. Disclaimer: Herbert Thornbury, Esquire is a Chattanooga, Tennessee Attorney. The materials on this site were created for informational purposes only. This information should not be construed as legal advice and does not create an attorney-client relationship. Descriptions of cases that Herbert Thornbury, Esquire has handled successfully are not intended to imply any guarantee of success regarding your potential case, because every case is different.This website is not intended for viewing or usage by European Union citizens.